Ello loves! 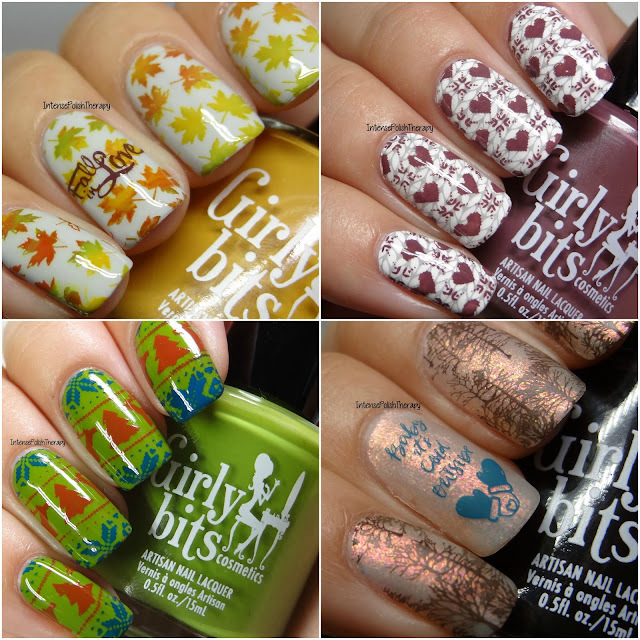 Today I'll be sharing the 2017 Fall Collection Girly Bits launched a month or two ago. This collection was actually released in two parts, both having 5 in each. So let's just jump right into it because these cremes are absolutely gorgeous! So first up is Butternut Leave Me Alone which is a gorgeous mustard yellow, absolutely beautiful. I had nothing like this in my collection. It's by far my new favourite yellow. It's Near Leaf All, is a medium green that I think isn't something you'd expect to see in a fall collection. I think a lot of people think it'll be all dark shades, however this green really relates to the collection & doesn't at all seem out of plate. Fantastic shade. Sea You Next Fall, ughh, my heart beats for this shade. It's not too dark, it's not to bright, it's not dull whatsoever. It's just everything, it's a medium deep blue, with a slight that slightly looks teal but it's almost like a dark jewel tone. It's just gorgeous, a serious must have. Stump Up The Jam is a deep brown, almost like a dark brown leather sofa or boot. It's really gorgeous. I didn't own any dark browns like this before, so it's truly a nice addition to my collection. Walnuts About You is a creamy, medium brown. It almost look like it has neutral or grey tones to it. Again, I had nothing similar to this in my collection. Very beautiful. First polish in part two is Acornicopia, which is a reddish brown, it's again very unique & I owned nothing like it. Just gorgeous. Another Brick in the Fall, is a gorgeous orange, with slight brown hints. Very lovely & perfect for a fall foliage manicure. Especially if you're looking for a nice orange, that slightly looks like a burnt orange"
Getting Figgy With It looks like a gorgeous dusty fig shade, very absolutely stunning. Greyzed and Confused is a medium dark grey, with green undertones. It's just gorgeous. I really love this colour. Hit & Mist is a light grey polish, it's very neutral. A good grey for anyone's collection. This collection of polishes are just so versatile because they also watermarble beautifully, I've already done one manicure & plan on doing a few more so look out for that. However that's not even my favourite part, because they're so opaque you can use them for stamping as well, so they're basically like a 2 in 1. They're great as a regular polish as well as a stamping polish. I've done a few stampicures using them but here's some of my favourites. This collection is full of unique shades that would benefit anyone's collection. They're also not your typical shades that everyone puts out every fall, they're different. The formula on all of these are buttery, creamy, & opaque. They're all extremely pleasant to work with, especially since you can achieve a fully opaque result in the first coat. I do want to say tho, that it all depends on your application. I can achieve a fully opaque layer in one coat on my left hand, but on my right hand it takes two coats. 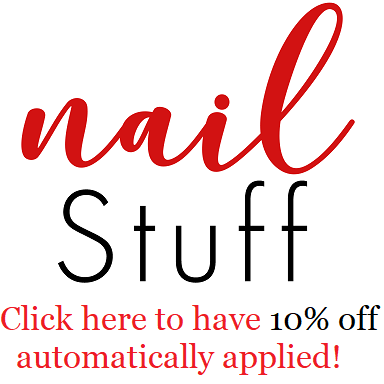 All polishes are available to purchase on their own for $15.00 CAD, or in sets such as Part 1 or Part 2 for $75.00 CAD, or you can purchase the entire collection for $150.00 CAD.